Karen is a respected and experienced certified nutritional consultant. She studied with the Nutrition Institute of America. She has been in the health and wellness industry for over 36 years. Her education includes course work from Viotron International, along with hundreds of hours of product training from top manufacturers. She also holds a Manager Certification form Serve Safe Michigan Food Safety. Karen is a member of the Non-GMO Project and the Celiac Foundation. At age 19, Karen was searching for healthy alternatives to begin a healthier approach to life. She began by representing companies such as Twin Lab and Rachel Perry Cosmetics. In 1990, she opened her first health food store in downtown Brighton. After having her family, she opened up Natural View Market, which has been in operation since 2009. Her expertise is Hair Analysis: a diagnostic tool that is very helpful in determining nutritional imbalances and food intolerances regarding food allergies, as she has been gluten free for over 17 years. Her reputation for helping people improve their lifestyle is well-known in the Brighton area. 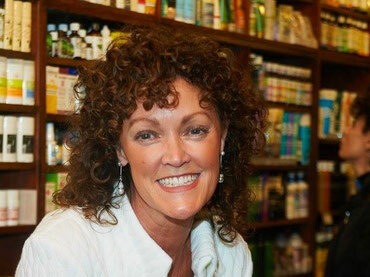 Pat is also a Certified Nutritional Therapist from Health Sciences Academy, who has obtained many credit hours through training with Viotron International, Metagenics, studying under gastroenterologist Dr. Jack Kornberg, and is a Certified Enzyme Expert with Enzymedica. As a stay-at-home-mom for 15 years, she wandered into the retail world of the health food industry, not knowing much in the field of health and nutrition. Her experience, though, opened her eyes as to how traditional medicine could be detrimental to one’s health as she experienced the healthier alternatives that natural supplementation has to offer. She came to the Natural View Market in 2012, where she continues her education. She loves helping people with non-threatening health issues, and is gratified when customers come back and share their health improvements thereafter. Her knowledge extends to Standard Process Nutritional Supplement Protocols, and hormonal balancing. Educating customers is her priority. Torri has been part of the Team for over 7 years and is one of our store managers. She is very passionate about the natural realm and believes every body has the ability to heal itself. She is a Doctor of Naturopathy and Certified Health Professional through Trinity School of Natural Health. She also has received many hours of training from top companies such as Garden of Life and Megafood. She facilitates "learning opportunities" in the Natural View Market's Wellness Med Spa for the community. Torri is always researching new high quality, allergen friendly foods to bring in to the store. Her interests in this industry sparked after witnessing a close friend heal from cancer after switching to holistic treatments. This led her on a path of constant discovery of revealing fact from fiction in the supplement and food industry. Her areas of expertise include whole food nutrition therapy, herbal medicine, homeopathy and essential oils. Dr. Torri works on the floor and is also available for appointments in the upstairs Med Spa. Joanmarie was a competitively trained athlete since the age of 9 years. Her passion and interest was both in dance and Synchronized Swimming. After many years of training as an elite competitor she received a scholarship to swim at The Ohio State University where she won an Intercollegiate National Championship. She graduated with a Bachelor of Science in Education. Joanmarie has been a successful wellness coach and educator for over 25 years. She specializes in custom Energetic Formulations for Dancers and Athletes to balance pain management, internal emotional stressors, mental focus, energy, stamina and more. Anyone who loves to move and feel healthy everyday can benefit from her recommendations. She received her certification through Health Sciences Academy in the UK, in collaboration with Imperial College London and a Diploma of Homeopathy from Centre of Excellence. She is a member of the International Alliance of Holistic Therapists. To support her knowledge she is also involved in CPD Certified Accreditation for continuing her professional development. 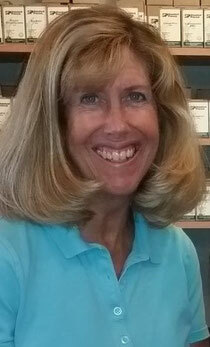 Joanmarie loves to teach, conducting wellness seminars to the public and is the author of Health Notes Express blog. She also manages Belladonna Nutrition Dynamic Facebook Page which is an educational platform for the art of wellness. She specializes in the study of homeopathy, herbs, plant nutrition, Gemmotherapy Plant Stem Cells and Flower Essences. Dr. Timothy Hertzberg is a board certified naturopathic doctor through the American Naturopathic Medical association. He studied at the Naturopathic Institute of Therapies and Education in Mt. Pleasant, Michigan. He is also a board certified medical acupuncturist through the National Board Certification agency. His journey in natural health started in his secondary years of education when he experienced severe adrenal fatigue. After an exhaustive search for help, he found a naturopathic doctor who gave him hope for his present and future health. His expertise is in Homeopathy, Intrinsic Data Field Therapy, non-invasive forms of analysis such as Iridology, Nutritional Response Testing, essential oil therapy, herbs and more. He facilitates scheduled "learning opportunities" at Natural View Market for the community. He is extensively educated and knowledgeable on many alternative healing therapies. He loves real, whole food nutrition, and advocates it exclusively to customers. His gentle demeanor makes him highly approachable and effective while working with his clients. Dr. Hertzberg can be found on the sales floor, as well as upstairs in our Wellness MedSpa during his office hours. Stacey started working at Natural View Market while she was in high school. She maintains the most important aspect of the store by making it an impeccably fresh atmosphere, keeping the store sparkling clean and organized. Her favorite part of working at the Market is being part of the “family”. She loves learning new things every time she comes into work. Stacey is drawn to the field of health and wellness because she likes knowing that she has the power to make good health choices, allowing her to live her life to the fullest potential. Learning about natural remedies and healthy lifestyles is Lori's passion. She is a licensed aesthetician, and believes that a great skin care routine is a must! She is also an advocate of using essential oils for health and home. Working at Natural View Market incorporates all of these interests and helps promote a healthy lifestyle for herself and for our customers. In her free time she cares for her husband, two step children and three fur babies!